Over the past decade more and more people have started to turn to the internet as a way of making money. Whether it is YouTube, Instagram, or even Facebook, users everywhere are scrolling through videos and watching their favorite internet personalities. Apart from social media, another form of online entertainment that has been gaining quite a bit of recognition recently is Twitch. Twitch is an online streaming service, owned and operated by Amazon, in which people livestream activities such as: playing video games, cooking, practicing an instrument and even just chatting with viewers. Each channel is unique to the person who has created it, and it is up to the content creator to develop their community by acquiring followers. Twitch’s video game streaming community is the largest out there. Famous streamers like Ninja, who was recently featured in a Red Bull commercial, have an average of 53 thousand viewers for every stream. Having turned to Twitch to watch gameplay of video games, I decided to see what it means to be on the other side of the screen. After four long months and many late nights, I can officially say that my brand name, “PotterMIA,” has made money from the internet – a whole $13.97 – and I honestly couldn’t be more excited. Before you can start monetizing your channel, you need to reach Affiliate Status. This is the goal of most beginner streamers and what I would say is the next step. This is done by completing certain objectives over the span of 30 days: having 50 followers, stream on 7 different days, stream for a total of 8 hours and have an average viewer count of 3. Once these “achievements,” as Twitch refers to them, are complete, you can finally start making money. I started streaming just for fun around the time when “Spider-Man” came out on the PS4. I wasn’t very consistent and never used my webcam. It wasn’t until the release of “Red Dead Redemption 2,” a video game I reviewed in the December issue, that I started to become more serious. I streamed almost everyday and even made attempts at using my camera, which I almost always cut short, but I still sat at a measly one to two average viewers – and it was usually my dad. Then I started to do some research. If I wanted to take this even further, I would need a serious upgrade in my hardware. Streaming direct from console limits your channel’s video output to a maximum of 720p at 30fps; in layman’s terms, poor quality. Without a high-powered, fancy, gaming PC, my next step was to purchase: a video capture card, a 1080p webcam, a professional microphone and a type-c USB hub to connect it all to my MacBook Pro, which I did at the start of winter break. Not to mention, turning the back office into my video-game room where I could stream without interruptions or a busy background. This immediately turned out to be more work than I anticipated. With the complete setup, I started streaming more than ever. To my surprise, my follower count wasn’t really growing. A video created by Twitch to help new streamers develop their channel explained that social media was going to be key, and by social media, I mean everyone you can think of. Starting with Facebook, I joined “follow for follow” communities, where users would go follow each other’s pages. Small streamers must work together to support each other before anyone can grow. Having acquired those followers still made no impact on my average viewer count. Someone noticed me in one of the groups and invited me to their Discord, a form of social media that I never knew existed. Discord is a forum-like community where users join communities created by an individual, or even a business, and can be used for many purposes. The group I joined is the TacoTwitchTeam, or as we call it, T3. It’s a community of streamers, from beginners to pros, which is meant to connect people on Twitch and offer support to help their channel grow. Within a week I had reached affiliate status due to the support of everyone I have met on that Discord. I’ve been a part of that community for a few weeks now, and not only has my Twitch account grown tremendously – with 152 followers and almost three thousand views – I have also made a lot of new friends, something I didn’t expect when I started all this. Having reached “Affiliate Status,” I reactivated my Instagram as a brand account, created a Twitter for my channel, linked a brand-name YouTube account and made a Facebook business page. “Twitch.tv/PotterMIA” is now an official business. 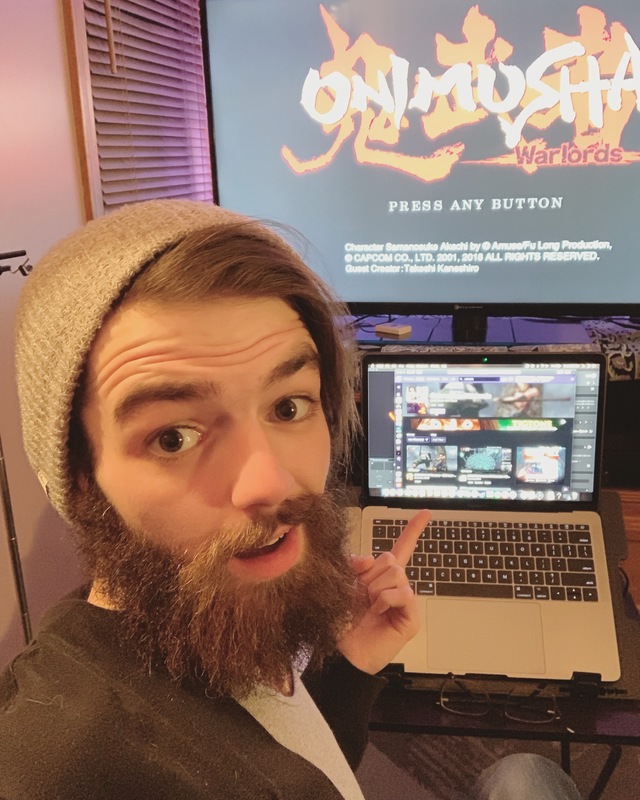 The learning never stops, earning money through bits, (a form of Twitch currency used to cheer on players in the channel’s chat box), subscriptions, donations and sponsored programs, constantly has me working to improve my channel or create new content. I need sound effects, overlays for my software, scene changes, visual effects and personalized content for my subscribers like my own emotes or hidden photo gallery. I’ve created a reward system where users earn points from viewing my channel and clicking a treasure chest that appears on screen every 10 minutes, I run reruns of streams, create highlights and clips from videos and promote my channel, as well as my fellow streamer’s channels from my Discord. It has become a part-time job that usually keeps me up way past midnight, but I love it. I’ve acquired a following, earned subscribers and met amazing individuals whose common goal in all this is to support one another. When I started streaming, I never knew how much thought, passion, creativity and work went into being a streamer, but now that I’ve made friends and built my own community, I can see why it’s worth it. I’ve found something I love to do and I’m able to connect with others doing it. A whole $13.97 is all the motivation I need to continue to work on making my channel as large as it can be. My goal for the future is to reach “Partner Status,” but first, I’m going to need an average viewer count of 75 people.